Below is the settings that worked. The first step will be to make sure the provider is registered. 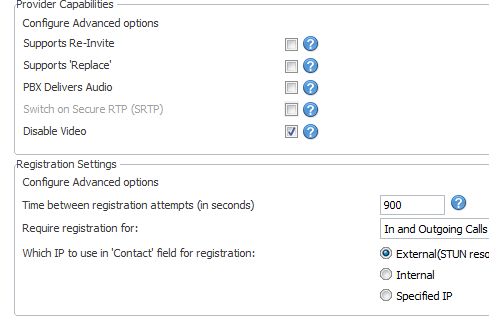 Then, proceed to the settings in the first General tab (Provider Capabilities & Registration Settings). After completing the General Tab settings, please go to “Configure Advanced Options” tab. 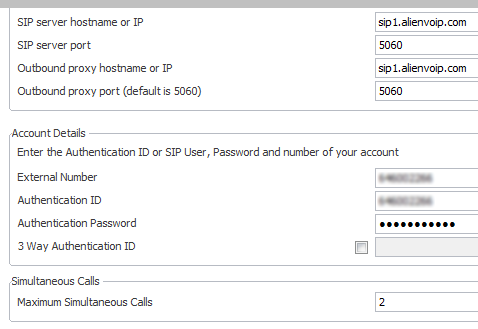 As you can see, we have disabled some options at “Provider Capabilities”. Please take note on the assigned codecs. 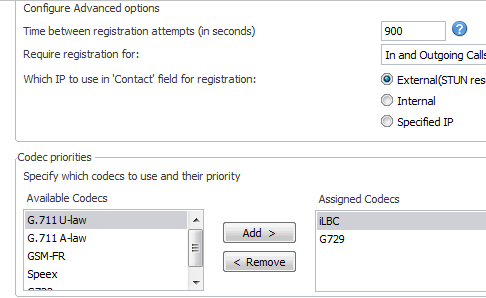 Set “ilbc” as the first codec , then followed by G729. Next, go to “Outbound Rules”. The rule sends any call starting with 0 to Alien VoIP. It’s a simple rule to test the route. Lastly, you should make sure that your extension is registered.